Bellwether Education, a leading education research and consulting firm, named Acelero Learning one of five exemplar Head Start programs across the country. In their Leading by Exemplar report, authors Ashley LiBetti and Sara Mead analyzed the entire Head Start landscape and ultimately narrowed their focus to Head Start programs that have evaluative evidence of positive effects on children's learning outcomes. They spent nearly three years digging into the detailed design and practices of the Acelero Learning Camden/Philadelphia program, trying to understand what led to its success with children. LiBetti and Mead’s in-depth case studies of the five high-performing programs include lessons for the field, and two policy briefs (one on data utilization practices and one on instructional models). This research is the first of its kind and, taken together, offers lessons both for other Head Start programs and for policymakers who want to expand access to quality early learning in the early childhood world. Founded in 2001 to bring an outcomes-focused approach to managing and supporting Head Start programs, today Acelero Learning serves 668 children in Early Head Start and 4,479 children in four states: Wisconsin, Nevada, Pennsylvania, and New Jersey. All Acelero Learning centers practice a common program model and leverage its corresponding tools and content, which are also utilized in the work that its sister company Shine Early Learning does in collaboration with Head Start partner programs across the country. 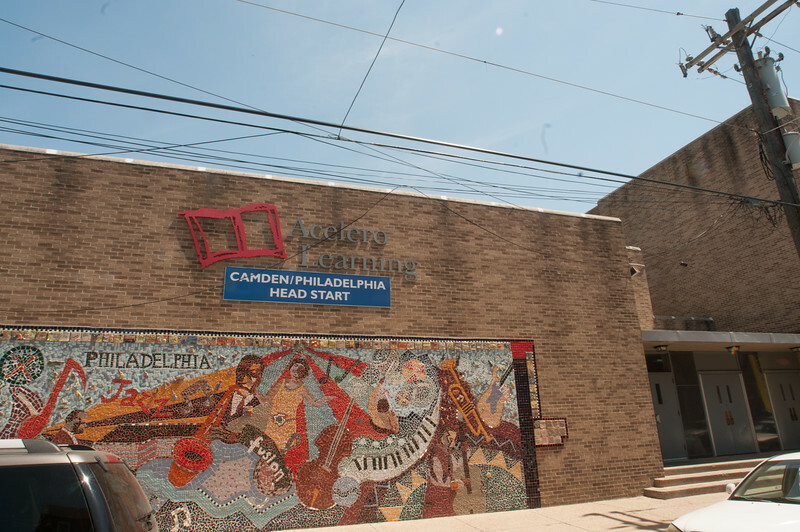 Acelero Learning Camden/Philadelphia, which opened in 2005, operates eight centers in Camden, New Jersey and Philadelphia, Pennsylvania, under the leadership of Executive Director Victoria Ankrah. The program is funded to serve 1,158 3- and 4-year-olds, and it offers a free, full-day, year-round program in both cities. Ms. Ankrah said, "When people from other communities walk into our centers in Camden and north Philadelphia, their heads sometimes spin, because they did not realize a Head Start program could look like this or operate this way." Ms. Ankrah added, "When you walk into my buildings, I do not care how wealthy you are or where you live or what you think about the communities we serve or what you thought about Head Start before you came in the door. You are going to want to leave your child here, because you cannot help but see what excellence looks like." You can read the full Leading by Exemplar report here. New York, NY (September 20, 2018) – In a unique three-way partnership unveiled today, Acelero Learning will deploy Reflection Sciences’ Minnesota Executive Function Scale (MEFS™ App) within their network of Head Start programs. Venn Foundation will provide the initial proceeds to support the roll-out with funds provided through a Program-Related Investment (PRI). Through this collaboration, Acelero Learning will be able to track the development of executive function (EF) skills over the course of the early childhood years. EF, often referred to as the “air traffic control” system of the brain, describes the set of skills required for impulse control in children. These skills are predictive of not only school-readiness and academic success, but also social-emotional functioning, career achievement, and mental and physical health. Acelero Learning will capture growth in EF using Reflection Sciences’ Minnesota Executive Function Scale (MEFSTM App). The MEFSTM app is a scientifically valid and reliable game-like measure of EF for children as young as 2 years through the lifespan. Acelero Learning currently instructs over 5,000 children through their nationwide network of Head Start programs. Initial funding provided by Venn Foundation will allow Acelero Learning and Reflection Sciences to train targeted Acelero educators on the MEFS™ assessment, test as many as 500 children in 2018, plan for initial interventions that the companies will produce together and evaluate this initial implementation. Future funding will stretch the MEFS assessment and training to all 5,000+ children in the Acelero Learning network and allow both organizations to refine and improve an intervention curriculum. Ultimately, all three organizations hope their findings will inform public policy efforts and decisions regarding opportunities and challenges facing early childhood education and specifically the Head Start network. Acelero Learning is a pioneering provider of early childhood education and family engagement services, all of which are focused on closing the achievement gap for thousands of Head Start children and families across the country. Today, Acelero Learning directly serves 5,000 children and families in New Jersey, Pennsylvania, Nevada, and Wisconsin and through its Shine Early Learning network, works closely with more than 35 Head Start programs around the country. Founded by University of Minnesota Professors Dr. Stephanie M. Carlson and Dr. Phil Zelazo in the College of Education & Human Development’s Institute of Child Development, Reflection Sciences provides professional development, training, and tools for assessing and improving Executive Function skills. Their Minnesota Executive Function Scale is the first objective, scientifically-based, and normed direct assessment of executive function for ages 2 years and up. Venn Foundation is a nonprofit public charity on a mission to unleash the full power of Program-Related Investments (PRIs) to achieve charitable impact. By opening a special donor-advised fund called a Venn Account, any philanthropic individual or entity can recommend that their tax-advantaged, charitable donations be used by Venn to make PRIs. Venn can syndicate any one PRI among any combination of Venn Accounts. Financial returns from these PRIs go back to participating Venn Accounts for donors to recommend redeployment into new PRIs or grants. Acelero Learning was recently recognized as one of Gary Community Investments’ Early Childhood Innovation Prize winners, because of its potential to create breakthrough impact for young children. As one of only 15 winners selected from more than 570 applications from innovators in 100 countries through OpenIDEO’s prize platform, Acelero Learning will share in $1 million in prize funding from Gary Community Investments (GCI) to help accelerate our impact. Acelero Learning’s idea is a next generation, adaptive child assessment system, designed to leverage the best thinking in the field to create a single, unified tool for teachers to better individualize teaching and learning for children. The intention is to harness current research, leading technology, and human-centered design to make assessment, including language, early math, and executive function, easy for educators, intuitive for families, and fun for young children and toddlers. Next Assess will be an adaptive assessment system that provides actionable intel on child development in a flash in order to drive instruction and intervention, inform families and supporters, and fuel program innovation. Most importantly, Next Assess will bridge the divide between data and action, offering educators and families just right next steps to propel each child’s individual development to catalyze community efforts to close the achievement gap. Launched in fall 2017 as part of GCI’s multi-year, multi-million dollar commitment to catalyzing early childhood innovation, the Prize brought together hundreds of innovators and experts from across the globe to collaboratively solve the question: How might we maximize every child’s potential during their first three years? As part of the Prize process, 217 participating innovators received mentorship from 135 experts in early childhood and other fields, helping to strengthen their concepts before they were submitted. The Prize’s 15 Top Ideas include solutions that focus on three opportunity areas: improving children’s earliest experiences so they are healthy and constructive; supporting parents and families in giving children the best start possible; and leveraging neighborhoods and communities to design neighborhoods and communities with very young children and their families in mind. Ideas that fell outside of these areas but were particularly novel were also considered. The winning solutions include ideas from new innovators with early concepts in development, early stage innovators with at least one-year prototyping experience, and advanced innovators with more than three years’ experience. More information on the Prize and all of the Top Idea winners is available here. To continue the momentum generated during the Prize, GCI and OpenIDEO are in the process of designing an early childhood innovation network that will accelerate compelling ideas that emerged through the Prize through access to mentors, experts and investors and facilitate continued collaboration around solving early childhood challenges. 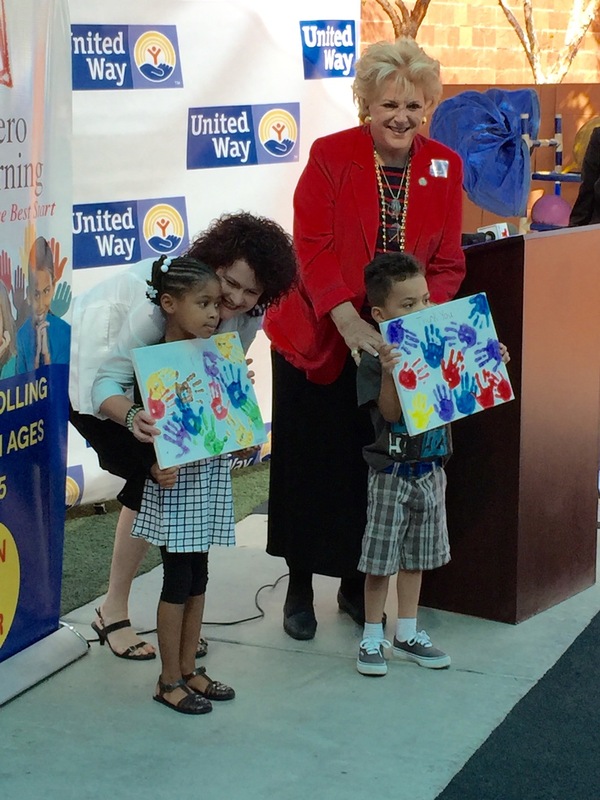 Today was the official kick-off for Children's Day and the celebration started in Las Vegas at Acelero Learning Clark County's Reach Out Center with Nevada's First Lady Kathleen Sandoval and Las Vegas Mayor Carolyn Goodman. Both expressed their passion and advocacy for children around the world and especially for the Head Start and Strong Start programs. This event was sponsored by the United Way Program and their campaign "Be a Champion for Children."